Cardinal Peter Turkson comes from humble beginnings as the child of a carpenter and vegetable seller from the mining town of Wassa Nsuta in western Ghana. Often cast as the social conscience of the church, Ghana's Cardinal Peter Turkson is viewed by many as the top African contender for pope. The 64-year-old head of the Vatican's peace and justice office was widely credited with helping to avert violence following contested Ghanaian elections. He has aggressively fought African poverty, while disappointing many by hewing to the church's conservative line on condom use amid Africa's AIDS epidemic. Turkson's reputation as a man of peace took a hit recently when he showed a virulently anti-Islamic video, a move now seen as hurting his papal prospects. Observers say those prospects sank further when he broke a taboo against public jockeying for the papacy — telling The Associated Press the day after Benedict XVI's resignation announcement that he's up for the job "if it's the will of God." Speculation about the possibility of a pope from the developing world has swirled for years as the church's growth has moved south. In Africa, between 1978 and 2007, the number of Catholics grew from 55 million to 146 million. Latin America counts 40 percent of the world's Catholics. In contrast, Catholic communities in Europe are in decline. In 2009, Benedict called Africa "an immense spiritual lung" for humanity and he has shown a special regard for the continent, naming a higher percentage of Africans as Cardinals than his predecessors. He went to Cameroon and Angola in 2009 and to Benin in 2011, at age 84. Benedict showed his high esteem for Turkson by naming him to various positions of authority. Turkson comes from humble beginnings as the child of a carpenter and vegetable seller from the mining town of Wassa Nsuta in western Ghana. He rose quickly in the Catholic Church. After attending St. Peter's Regional Seminary in Ghana, he went on to earn two masters degrees in theology and divinity in 1974 at St. Anthony-on-Hudson Seminary in New York. Pope John Paul II named Turkson Archbishop of Cape Coast in 1992 and made him cardinal in 2003. He is known by friends and colleagues in Ghana as an intellectual and a down-to-earth "humble servant of God" who prays several hours a day, and in his free time enjoys jogging, playing guitar and singing. He speaks English, Italian, Portuguese, Hebrew and Greek. Turkson is "quite intellectual, well-rounded, a fine priest," said the current Archbishop of Cape Coast, Mattias Kobena Nketsiah, who has known Turkson for more than 30 years. Another Ghanaian prelate also spoke of Turkson's humble dedication. "I was struck by the aura of holiness around him," said Emmanuel Abbey-Quaye, a senior figure in the Ghana Catholic Bishop's Conference who was ordained by Turkson in 2005. "He would spend many hours praying every night and morning." One of Turkson's most significant achievements is the role he played as peacemaker following Ghana's 2008 elections, when the normally peaceful nation was brought to the edge of violence. "We were on the brink of disaster because the margin between the winner and loser was so small and people were not ready to accept defeat," recalls Abbey-Quaye. "As chairman of the justice and peace council everyone was looking to him." Turkson met with electoral officials and political parties "spreading a message of peace," Abbey-Quaye said. "He was not vocal. He did it underground. It saved the whole nation." 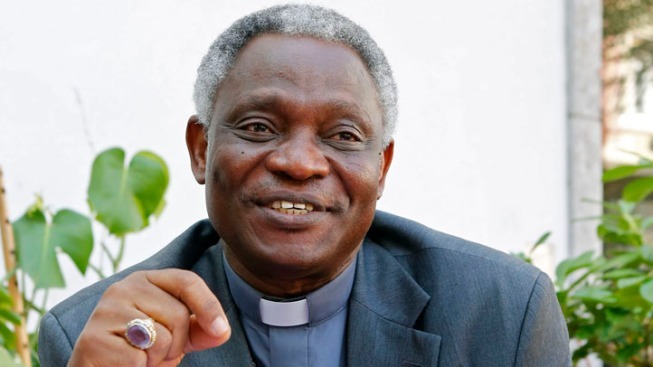 Archbishop Nketsiah said that as pope, Turkson would be conservative. "You can't expect him to be the liberal pope people are anticipating," he said. Abbey-Quaye agrees, especially concerning issues such as the ordination of female priests and condom use: "He would not drift too far," he said. Turkson's prospects are hindered by some of his own actions. Last year, he caused a major stir during a meeting of the world's bishops by screening an alarmist video about the inroads Islam is making in Europe and the world. He apologized, but some say the gaffe ended his hopes as a papal contender: Even Vatican Radio condemned the film as a "4-year-old, fear-mongering presentation of statistics" that have been widely debunked. Turkson's statements the day after Benedict's resignation announcement — in which he said it's time for a developing world pope — were also seen as a miscue. At the Vatican there's an old adage: "He who enters the conclave a pope comes out a cardinal." Meanwhile, in Ghana, the Catholic community is adopting a "wait-and-see attitude," said Abbey-Quaye. "Our reaction is we are waiting in prayer." "We are not overly concerned to have someone from any particular continent or of any particular skin color," he said. "But I can say, if he gets the nod, it would be a great honor for us as a church and for Africa."